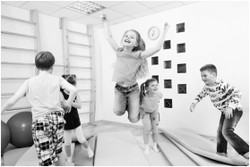 ​To support the lives of adults by transforming body, health, fitness and mind in order to lead by example and have a dramatic impact on all Aussie Kids to live a healthier, safe, happy & fun fulfilling childhood. Through this process of leadership and being a Helfi Hero, together we create the next generation of the healthiest nation in the world. ​Maybe you are motivated by… Losing Weight, Getting Healthier and Fitter, Being Pain Free, More Energetic, Sleeping Better, And Feeling happy with yourself. Maybe your current Diet Needs a Change by… Eating Cleaner, Fueling your body correctly Pre-Workout, Fueling your body correctly Post-Workout, Snacking Safe and Rebalancing your Macro Nutrient Intake. 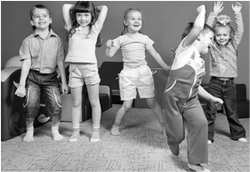 ​1 Aussie Kid to live a healthier, happier and fun fulfilled childhood by the ACTIONS you take? ​Imagine if you master a Nutrition System and show a child you can lead by example… Imagine if you master a Fitness System and show a child you lead by example…What would all this mean for this child - Pain Free, Energetic, Sleep Well, Move More, More Healthy and Fitter, Fun, Fun, Fun? So Why Not Join Our Amazing Culture and Let’s Change the Childhood Experience of Aussie Kids?